Br. 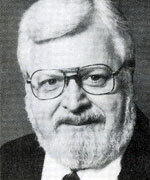 Jack O’Dell, CSV, died Tuesday, September 20, 1988 at Rush-Presbyterian St. Luke’s Hospital, Chicago, at the age of 59. Br. O’Dell was born on March 12, 1929 in Chicago to Deland and Beatrice (Schuyler) O’Dell. He joined the Viatorian Community later in his life – his first vows pronounced on July 18, 1980. Br. 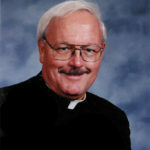 Jack was a former staff member at St. Viator High School in Arlington Heights, IL from 1980 – 1985 serving as a Pastoral Minister. At the time of his death he was in chaplaincy training at Rush-Presbyterian St. Luke‘s Hospital. Survivors include sisters Betty Holmquist, Gloria Vogt and Patricia McLain; and a brother, Francis. Visitation was held on Thursday, September 22, 1988 from 4 to 9 pm at St. Viator High School Chapel, Arlington Heights, IL. A Funeral Mass was celebrated for Br. O’Dell at 10 am Friday, September 23, 1988 at St. James Church in Arlington Heights. Burial was with the Community at Queen of Heaven Cemetery, Hillside, Illinois.